ExxonMobil Recruitment 2018: ExxonMobil, the largest publicly traded international oil and gas company, uses technology and innovation to help meet the world’s growing energy needs. Apply now. 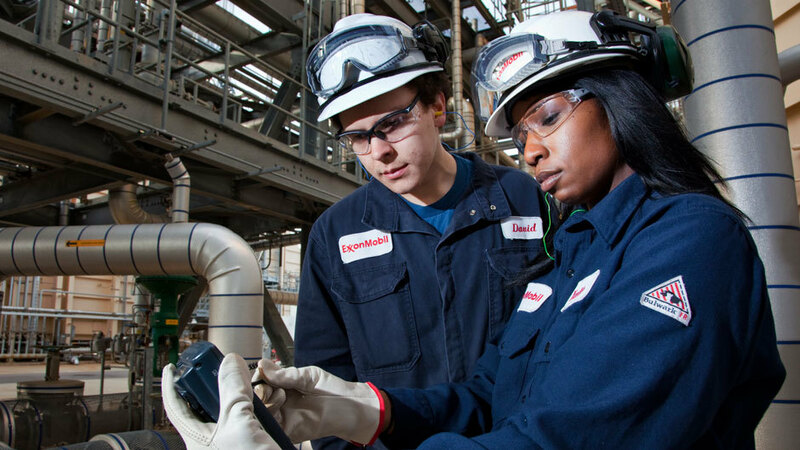 ExxonMobil Recruitment 2018: ExxonMobil, the largest publicly traded international oil and gas company, uses technology and innovation to help meet the world’s growing energy needs. We hold an industry-leading inventory of resources and are one of the world’s largest integrated refiners, marketers of petroleum products and chemical manufacturers. We must continuously achieve superior financial and operating results while simultaneously adhering to high ethical standards. Over the last 125 years ExxonMobil has evolved from a regional marketer of kerosene to the largest publicly traded energy company in the world. ExxonMobil has a long history of leadership in the petroleum and petrochemical industries. Provide clerical support to the Longview Field Office. Answer phones and greet office visitors. Pick up and sort incoming mail. Scan and process company invoices. Maintain third party monthly statements and monitor for current information. Generate reports for Supervisors and Superintendent. Vendor contact for accounts payable. Data entry in various systems. Assist field personnel with general questions and needs. Oil/gas industry experience a plus. Working knowledge of Evin, ADP, AS400 ISeries preferred. Strong computer skills to include the Microsoft Office suite of products. Apply here in ExxonMobil job posting websites.